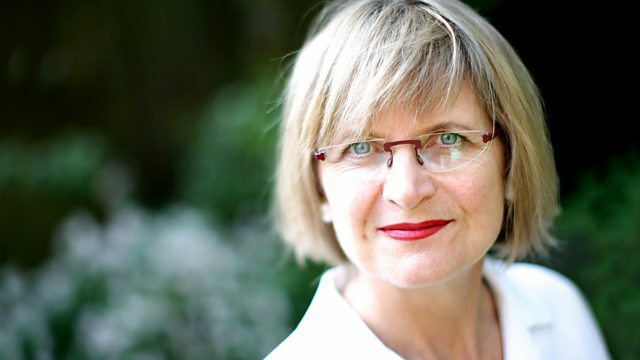 Michael Berkeley's guest is wine writer and broadcaster Jancis Robinson. Her musical choices include works by Mozart, Tchaikovsky and Handel as well as an English folk song. Orchestra: London Philharmonic Orchestra. Conductor: Bernard Haitink. Singer: Thomas Allen. Performer: Dennis Brain. Orchestra: Philharmonia Orchestra. Conductor: Herbert von Karajan. Orchestra: Orchestra of the Age of Enlightenment. Conductor: Sir Roger Norrington. Singer: Andreas Scholl. Ensemble: John McCarthy Chorus and Orchestra. Music Arranger: Sir David Willcocks. Choir: King's College Cambridge Choir. Conductor: Philip Ledger. Orchestra: Orchestre de Paris. Conductor: Semyon Bychkov. Singer: Nuccia Focile. Singer: Olga Borodina.